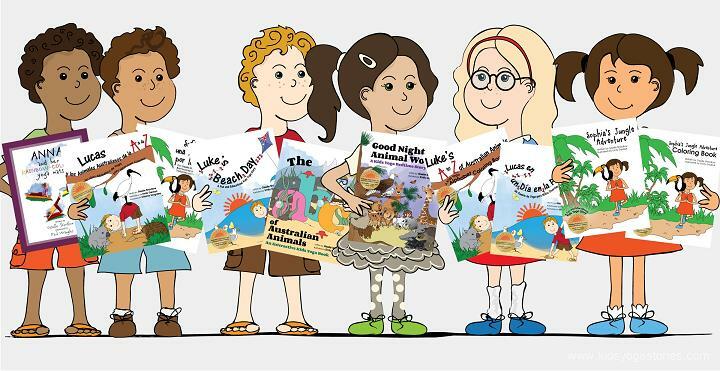 Welcome our monthly Kids Love Yoga (#kidsloveyoga) series! 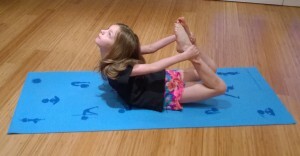 Our most popular page is the list of kids yoga poses, so we wanted to share your pictures of children practicing the various poses every month. 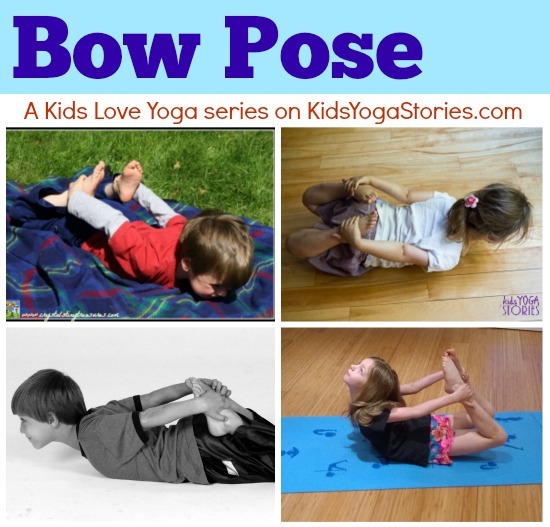 This month’s focus pose is Bow Pose. 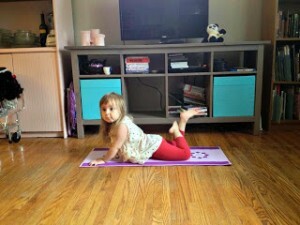 This is a new pose for my daughter. 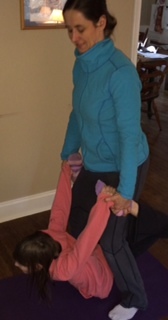 We didn’t practice this posture when she was an infant because of its intensity and difficulty. To be honest, I find back-bends extremely challenging because of the inflexibility of my spine and shoulders. 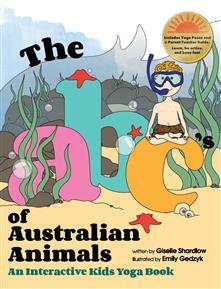 But as we practiced some ocean animals yoga poses today, we gave the Bow Pose a go! Stretches the chest, shoulders, arms, abdomen, and thighs. Helps to invigorate the body. 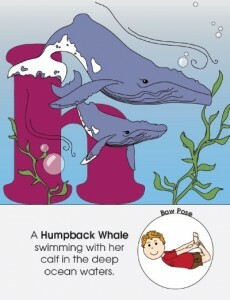 You could pretend to be: a fish, whale, or anemone. Lie flat on your tummy with your arms alongside your body, your palms up. Bend your knees, flex your feet, take a deep inhale, lift your chest, and look forward. Then reach your arms back towards your toes and grab your ankles. Ensure that your knees remain hip width apart while you are in the pose. You might need to squeeze with your thighs a little. 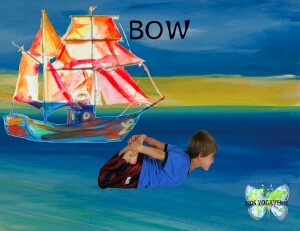 Come out of the Bow Pose on an exhale and take a rest for 20 seconds to stabilize your spine. 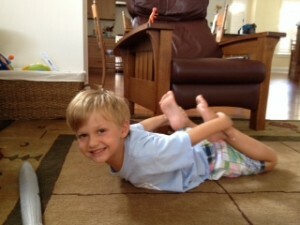 Then rest in Child’s Pose to release your lower back. If you have lower-back problems, please be careful when practicing this pose. The focus is on lengthening your spine, not on making a perfect U shape. Listen to your body. Look straight ahead during the pose, because looking up might put strain on your neck and cause an injury. 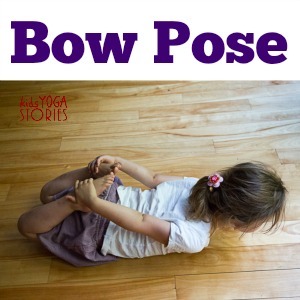 Bow Pose is not recommended if you are pregnant.